Home / Talking Points / Can the Parramatta Eels Spring a Surprise Heading into the NRL Finals? Can the Parramatta Eels Spring a Surprise Heading into the NRL Finals? It has been a difficult few seasons for the Parramatta Eels in the NRL, with the club struggling to break into the division’s top-eight, and having to wait for an opportunity to compete for silverware late in the season for almost a decade. The last time the Eels got their hands on an NRL Premiership was way back in 1986, and the last time they challenged in a Grand Final was 2009, which happens to be the last time Parramatta qualified for the end of season finals. However, in 2017, Parramatta’s place in the finals is all but secure with two rounds remaining, and Brad Arthur’s side look set to compete for the top-four later this year, along with the likes of Melbourne Storm, Brisbane Broncos and the Sydney Roosters. The form of Arthur’s side this season must be credited, with the Eels coming a long way since their back-to-back wooden spoons in 2012 and 2013. Their 30-8 victory over the Gold Coast Titans in Round 24 means the Eels will almost certainly be in the finals later this year – where they are priced at 15/1 on bet365’s rugby league betting page, to go all the way and win their first title since 1986. Arthur’s side were under pressure heading into that clash with the Titans, after a disappointing 29-10 defeat in Round 23 to the Newcastle Knights – who are among the favourites for the wooden spoon in the 2017 competition. If the Eels are to reach the Grand Final and cause one of the NRL’s greatest upsets, they will need their big game players to be at 100% every week. Semi Radrada is Parramatta’s top try scorer so far this season, with the winger crossing the whitewash on 13 occasions during the 2017 campaign. 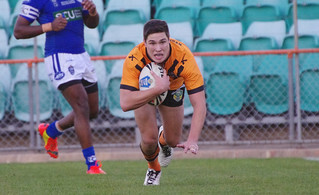 Arthur will be hoping his winger can continue his fine try scoring form, but more pressure will perhaps be on Mitchell Moses to continue his commanding displays in the halves and prove to be the creative cog required to defeat sides such as Melbourne, Brisbane and Sydney. Parramatta’s form against the NRL’s top-three and Cronulla Shark – the team they are competing with for fourth – has been mixed, with both impressive victories and disappointing defeats along the way. We are likely to see how competitive Arthur’s side will be in Round 25, when the Eels face the Brisbane Broncos, just two weeks before the finals line-up is confirmed. If Parramatta can save their best for that fixture, they will be able to lay down a real marker heading into the end of season lottery. It remains to be seen if Parramatta can spring a surprise in the finals, with it looking hard to stop Melbourne, who are the NRL’s runaway leaders. However, after breaking their top-eight duck, Arthur’s side will be brimming with confidence heading into the final few months of the season. If the Eels’ key men can continue to step up in the big games, anything will be possible and the NRL’s top-four will be cautious of Arthur’s side who will be entering the finals as confident outsiders. Next Story → Could Cooper Cronk’s switch to Sydney transform the Roosters into Premiers?